Computers have become one of the essentials in our personal as well as professional life. In present era working on computers is not possible without the help of a strong network to connect with the outer world. Most of our tasks are dependable over the Internet connections. Strong network connections in the offices and for personal use ensure data security, maximum work and reliable performance. With the development of new technologies and hardwares it is now easy to built network of your own with the help of Ethernet wires. Ethernet Cat 6 wires are used for LAN arrangements to built one of the secured wiring for your network. Rather than Cat wires there are many network connecting devices. If you are trying to build your own computer network then you must have a good knowledge of various network connecting device and their working. These devices are routers, hubs, gateways, hardware firewall, LAN Cards, ISDN terminals, CSU/DSU and transceivers. You will not be able to built a good Ethernet LAN network without the help of these devices. The devices used in the connection are selected on the basis of your business-requirement and before selection make sure to check their compatibility with each-other. Routers : - Router is a communicating device used to connect tow physically and logically different networks that is two LAN, Two wan and a LAN with a WAN. Main function of Routers is to dispatch the packets to their destination based on their IP address. Hubs : - Hub is the central connecting device in a computer network and are of two types active and passive hubs. When data packet arrive to a hub it broadcast them to the computers in the LAN network where the destined computers picks it and others discard the data packets. Switches : - a switch is an device that maps IP address with the MAC address of the LAN card. When it comes to data transmission unlike hub switch transmits that to the particular destined computer and are mainly used in LAN, WAN and MAN connections. In the Ethernet connection computers are directly connected to the switch trough twisted pair cables. Multiplexer : - With the help of multiplexer several electric signals are combined into one in the network. Modems : - Modems are used to provide the connectivity with the Internet. Working of modem is based upon modulation and demodulation where it converts digital data to analog and analog to digital. LAN cards : - Even known as Network Adapters, the LAN cards are most essential device of the network. 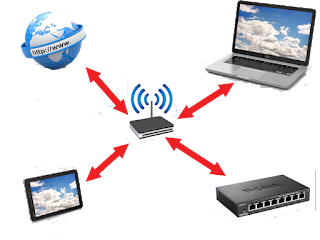 Without the help of LAN network it is not possible to enable communication in the computers and networks. Every LAN card has unique IP address, subnet mask, gateway and a DNS if applicable. 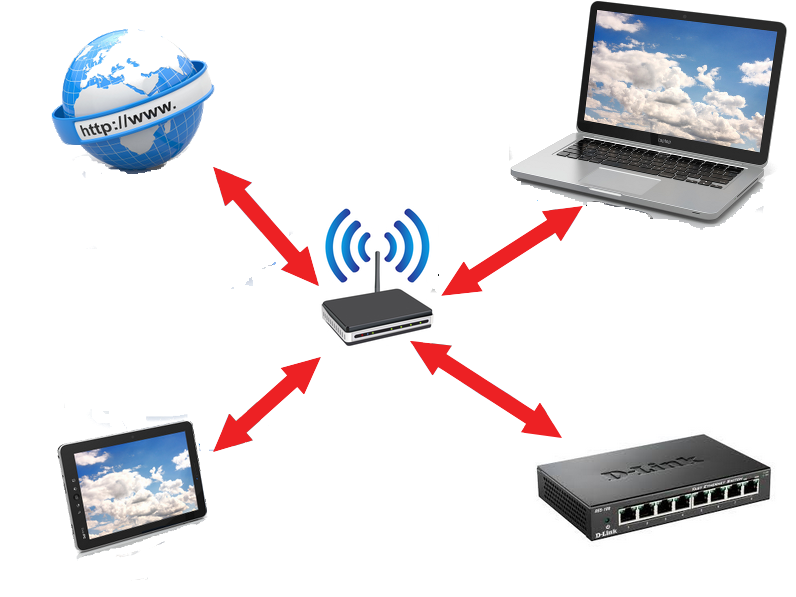 Without the help of these network connecting device it is not possible to build a good and reliable network connection. So it is important to choose these devices carefully according to your requirement and business need.